Luckily, one of my dearest friends must have noticed as well, and she’s got my back. 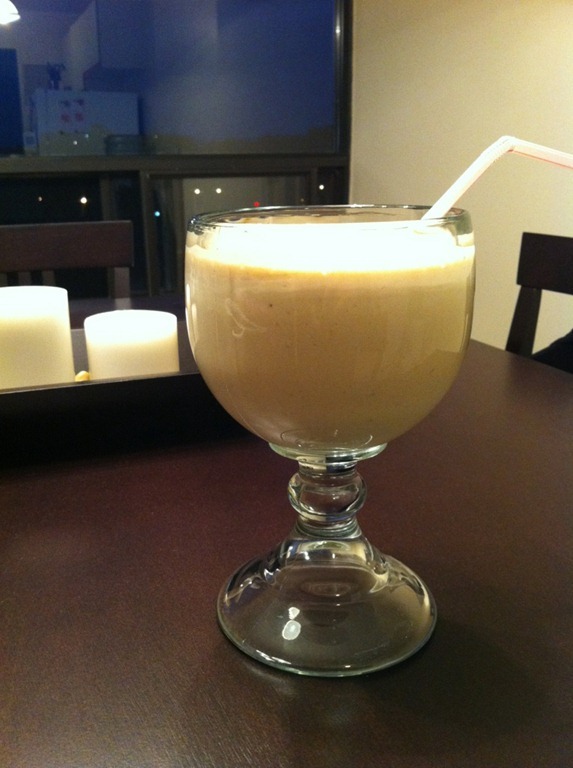 My friend recreated a smoothie she had a coffee shop, and documented it for PinkGiggles! 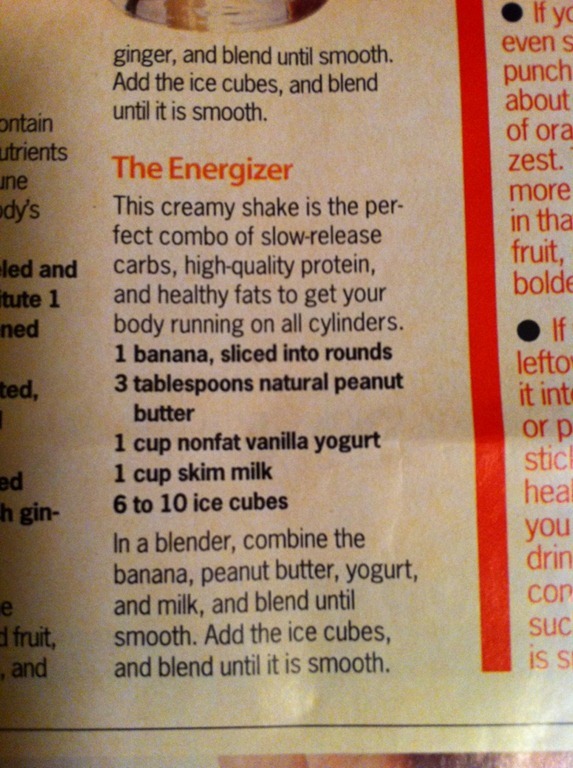 In the blender goes: tub of vanilla yogurt, 2-3 frozen bananas, 2 heaping spoons of peanut butter, and just enough milk to get it moving. I really wish this had been my breakfast.. I tried a new flavour of tea. 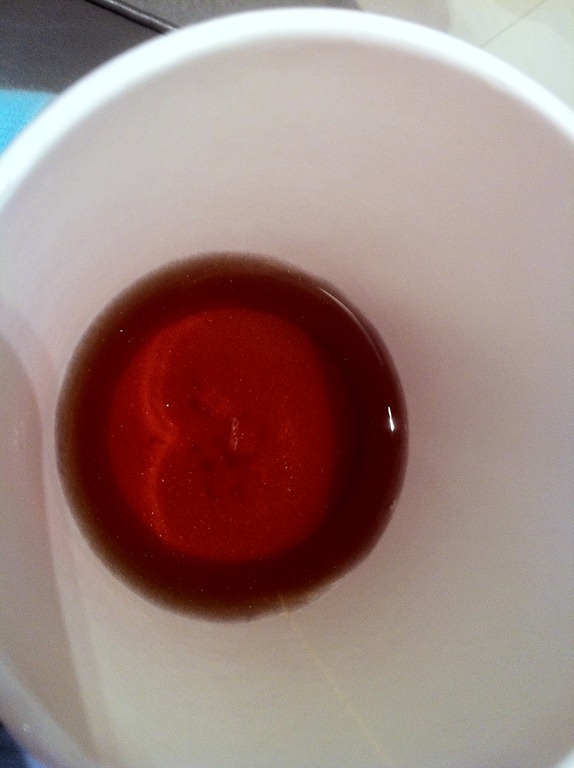 I wish my phone camera could have captured what the tea actually looked like.. it was sparkly, shimmery, beautiful. (I am 5 years old). It was also delicious. David’s tea can do no wrong. Flavour: glitter and gold. Lunch: unpictured gnocchi. 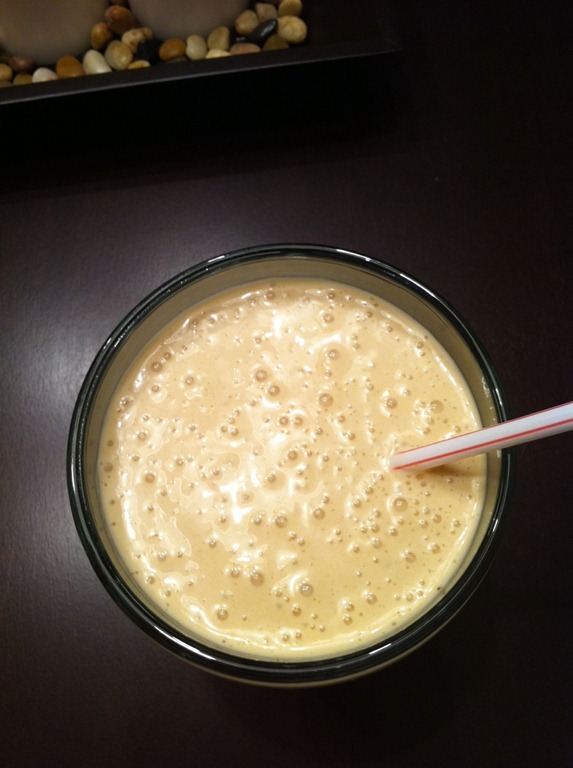 Delicious, but not too exciting as it was not homemade. However, my next mission is homemade gnocchi. For dinner? These photos are from the weekend when I crashed my parents anniversary dinner. And when I say I crashed it, I mean they begged me to come. True story. 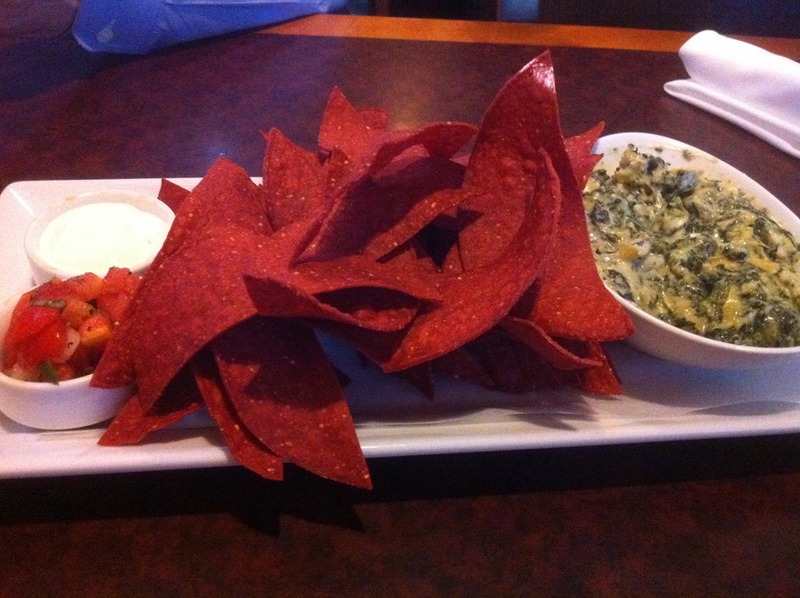 Spinach and artichoke dip to start. Followed by the least elegant thing on the menu. 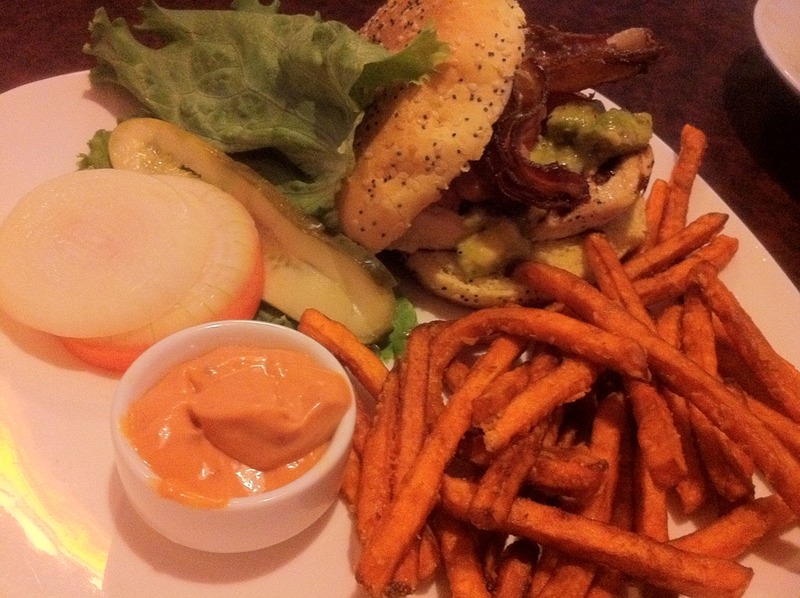 Chicken burger topped with avocado salsa and bacon, and sweet potato fries on the side. Yum! 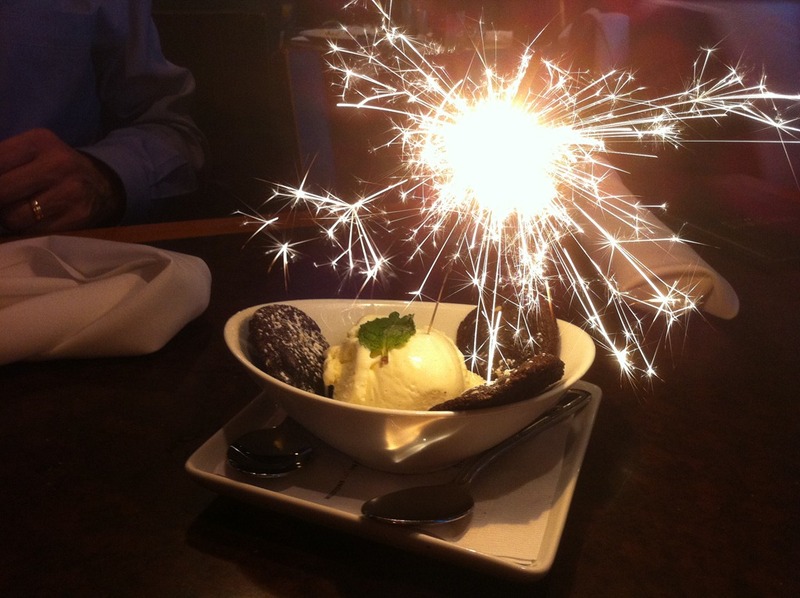 The waitress surprised us with a little dessert to help us celebrate. Complete with 3 cookies. Hip hip hooray for 3rd wheels. And as always go check out PeasandCrayons for more inspiration! Best thing you ate today? Have you tried any new yummy recipes? Oh how I love WIAW day. Your eats look great. I WANT THOSE FRIES! Cute! My parents asked my sister and I to join them for their anniversary dinner too! So sweet. YUM I just had lunch and a handful of homemade kumura fries (sweet potato fries 🙂 ) So goooood! Mmm im loving all your eats. I love that most restaurants serve sweet potato fries now! lol that’s what i do – i have a recipe book of ‘i wish i had times’ and then inevitably end up with a sandwich… !! take a look at my new post http://bit.ly/pqTv2A i know that you’re keen on balance etc. so i just want to know what you think about sometimes NOT challenging yourself and wallowing in comfort… good idea or bad? Aww, I wish I had eaten that smoothie too, haha!